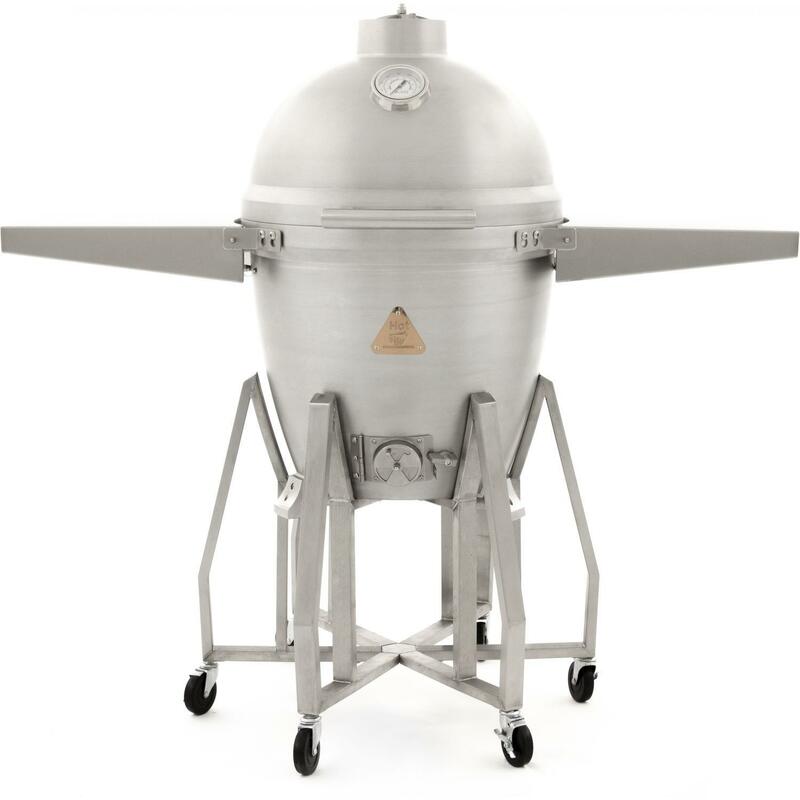 Product Description: Blaze 20-Inch Freestanding Cast Aluminum Kamado Grill. 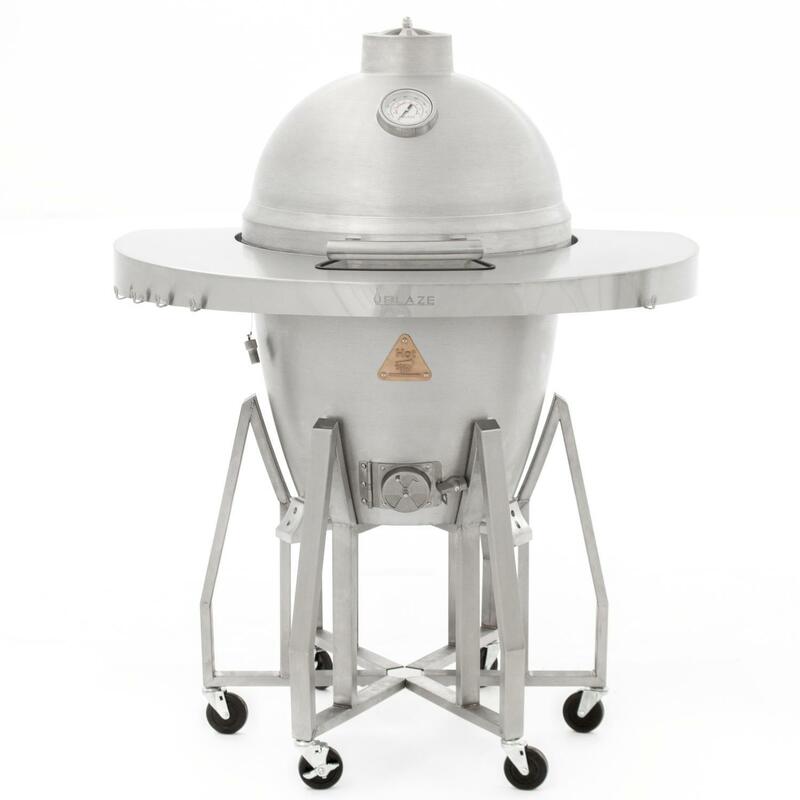 Introducing a tough kamado grill designed to provide a lifetime of performance and memories. Made from one inch thick solid cast aluminum, the Blaze Kamado offers superior durability and outstanding temperature control. 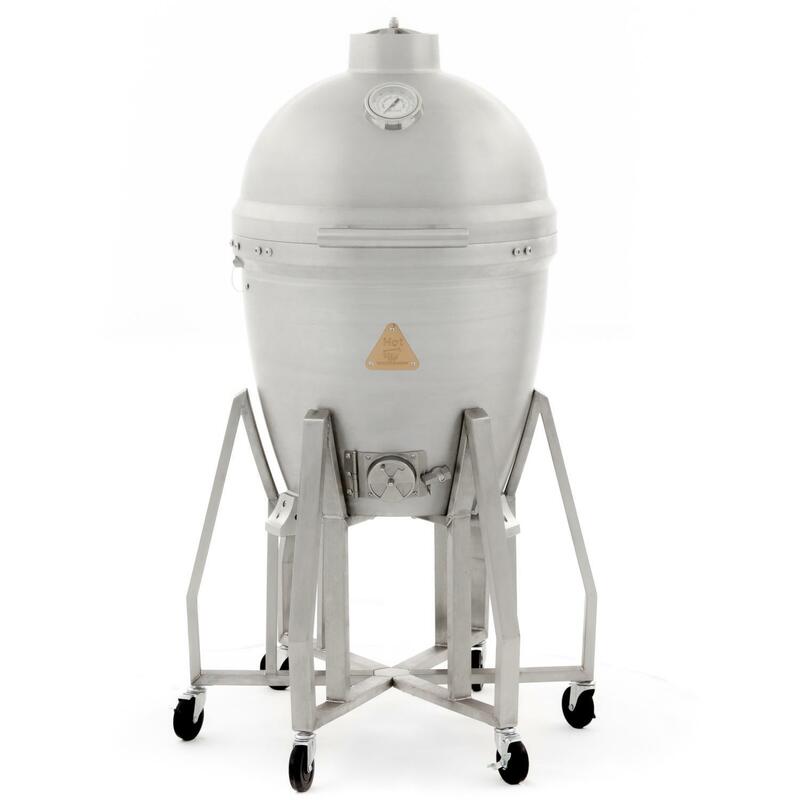 The non-porous grill body allows you to use any type of charcoal or wood, as well as any material for lighting the charcoal without worry of damaging or absorbing into the grill body. 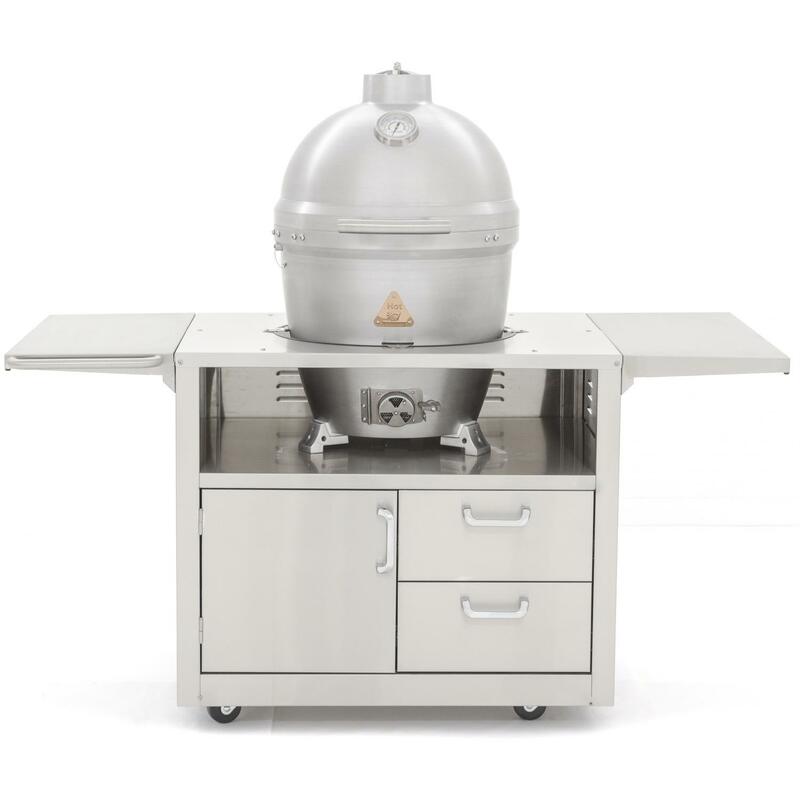 The heavy-duty 12mm hexagon, 304 stainless steel cooking grate retains heat and helps you achieve an excellent sear. The 20-inch diameter cooking grate is hinged on both sides so you can easily add wood or charcoal without completely removing the cooking surface. A mid-level 18-inch cooking grate is also included which allows you to cook closer to the fire, add a drip pan or a heat deflector for indirect cooking. If you cook food on the middle grate, you need to use high heat gloves to handle the hot cooking grates. The lid hinge is made from 304 grade stainless steel and features a convenient lift assist for easy opening and closing. The Blaze Kamado grill also boasts an innovative lid seal that is superior to ceramic kamado-style grills. 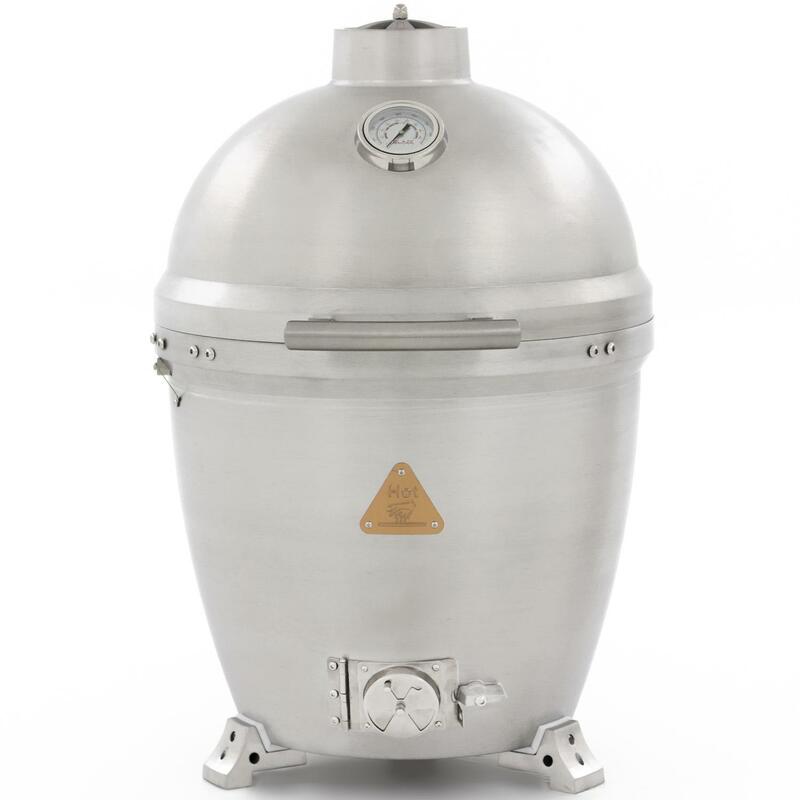 Instead of using a felt gasket, the cast aluminum Blaze Kamado utilizes a tongue and groove seal. This design eliminates the need to replace a damaged gasket and also provides an exceptional seal that prevents heat from escaping. The top exhaust vent is made from molded cast aluminum for precise heat control without the risk slipping out of position. The bottom of the firebox holds a removable stainless steel ash pan with handles for easy cleanup. A large temperature gauge with markings for smoking, roasting and searing temperatures is mounted in the lid, allowing you to easily monitor cooking temperatures. The stainless steel grill cart includes six casters so you can easily move the grill around on your patio or deck.